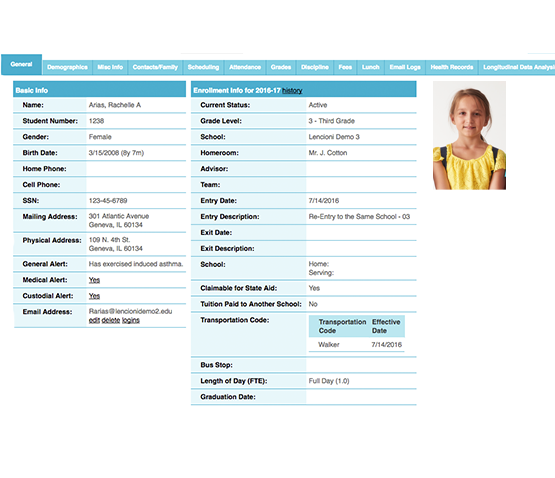 Easy web-based student management software designed for small- to medium-sized districts and non-publics. Run your schools efficiently and affordably. All web-based and securely hosted online. Save time and make information available to authorized staff. Includes the software tools required to manage most small- to medium-sized districts and non-public schools: student demographics, basic scheduling, attendance, grade reporting (report cards/transcripts), and tuition/fees. Run your lunch program electronically. Use a computer at the POS to scan meal cards or manually enter orders. 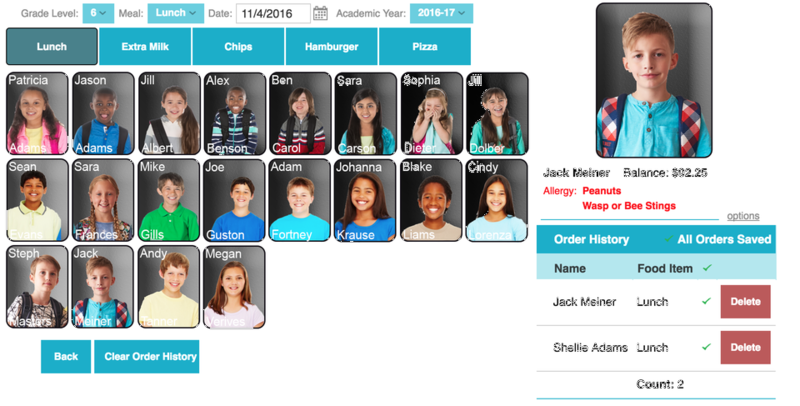 Automatically track student lunch account balances and notify parents. Better collect fees and reduce outstanding balances. Electronically manage the discipline process and analyze the effectiveness of interventions. 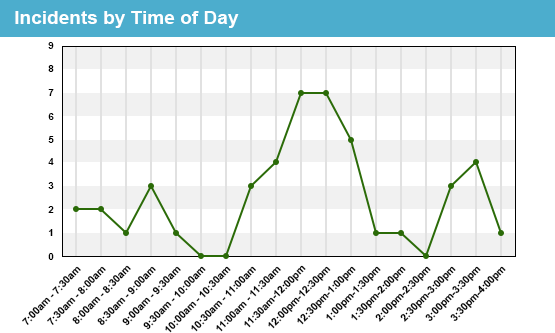 Easily identify where and when incidents typically occur. Make positive change and measure student behavior improvement. 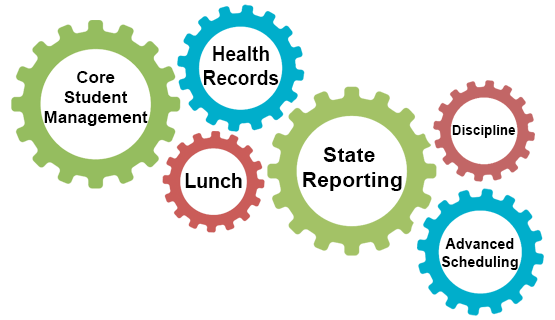 Our flexible software provides you with sophisticated tools to easily solve complex scheduling problems. 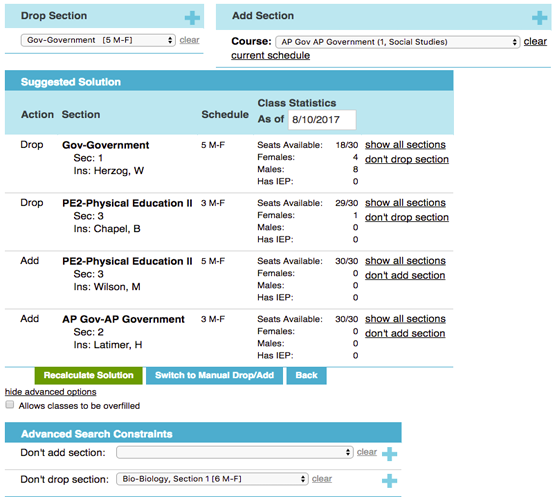 Calculate master and student schedules based on course requests and instructor availability. 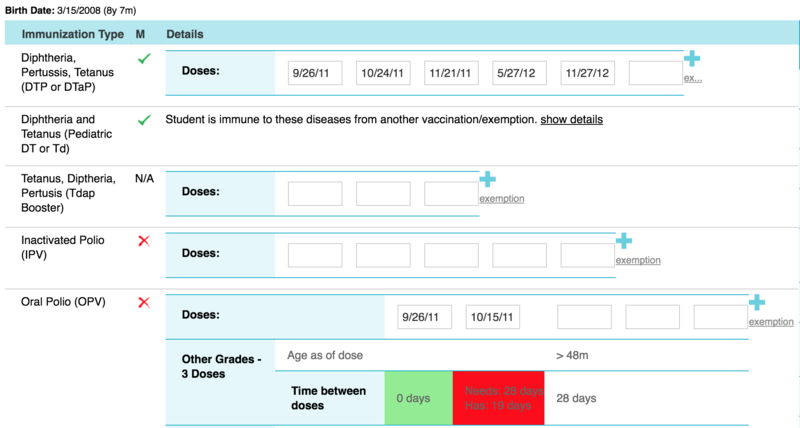 Help the school nurse easily manage all aspects of student health electronically: immunizations, clinic visits, medications, screenings, and much more. Robust tools allow the nurse to spend less time on paperwork and more time with students.